Home » Wet & dry cleaner guide » WET E DRY CLEANER GUIDE Care labels… complicating even the simple things…. 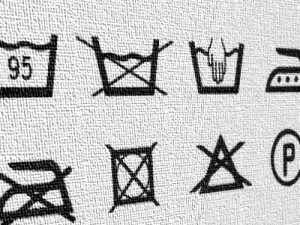 “Care” instructions, in other words the directions that must be followed in order to keep a product in good condition, is a constant challenge for textile sector operators. In fact, when dealing with care labels for clothing garments, the situation is anything but simple. Just being able to define the ideal conditions for washing, ironing, bleaching and drying the garment is sometimes complicated and potentially exposes the garment to risks, as stylistic choices often blend very different materials together and fabric suppliers don’t always develop care instructions with due concern and caution. In short, nothing can be taken for granted. The matter gets even more complicated when we decide to use symbols to inform the consumer. Which symbols should we use? Do they all have to be shown? In what order? In a market as global as this, the most important question we can ask ourselves today is definitely “What country am I exporting to?” And this is precisely because different criteria must be adopted depending on the particular export market. To date, four main graphic systems have been adopted: the European system (owned by Ginetex), United States system, Japanese system and Korean system. The global nature of this market, however, leads to a quest for simplification. This is clearly demonstrated by the latest news (released on 31 March 2015) from the Japanese agency CAA which approved the adoption of new product care symbols based on the JIS L 0001 regulation of 2014 (“Textiles – Care labeling code using symbols”) replacing the previous JIS L 0217 of 1995. The new regulation, which becomes effective on 1 December 2016, is designed to harmonize the ISO international system on care labeling and will actually result in adoption of the European Ginetex symbols. As soon as the regulation comes into force, only those textile-clothing products bearing the new care symbols on their label will be allowed to be marketed in Japan. It is essential to have a thorough knowledge of any mandatory aspects related to this subject, as the requirements may also differ significantly from country to country. In this regard, the global situation is actually anything but uniform. If you then consider that any failure to comply with the requirements could result in an embargo on the goods or the application of sanctions, it’s immediately clear how the subject warrants due analysis from the companies. By way of example, the table below provides a brief summary of the requirements for some countries. 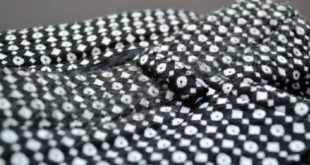 Garment care remains to be a contemporary and evolving issue regarding both its regulation and the technical aspects related to the use of different materials (e.g., the increasing use of technical fabrics that combine conventional fabric properties with the more innovative properties of polymers). But that’s not all. Even consumer awareness and the search for increasingly sustainable solutions for the environment are affecting the industry.And once again, a thorough knowledge of the mandatory and voluntary aspects (technical and trendy) can become opportunities for companies to confidently break into new markets and search for new paths of communication and enhancement of their product for eco-sensitive consumers.